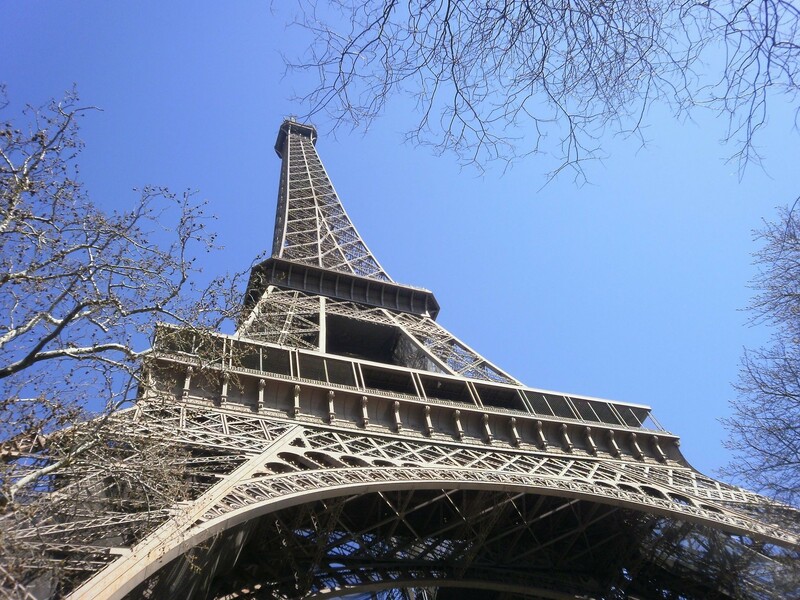 Close to the original technology of the iconic Eiffel Tower, but with modern components state-of-the-art: Bosch Rexroth modernized the hydraulics for the elevator in the west pillar. The Eiffel Tower stands, seemingly unchanged, as the icon for Paris for now more than 125 years. But underneath the steel grid construction, the operating company SETE brings engineering up to date in order to reduce maintenance while increasing availability and energy efficiency. Simultaneously, each measure is to be as close as possible to the original technology. Bosch Rexroth, experienced system partner for the modernization of drive and control technology in historic facilities, updated the hydraulics of the elevator in the west pillar. In doing so, the company maintained the original construction idea of an indirect hydraulic drive and implemented it with current engineering. This reduces energy consumption by approximately 25 percent. For forty years, the Eiffel Tower – built in 1889 with initially 312 meters – was the highest structure in the world. The builder and operator Gustave Eiffel focused on various elevator versions early on in order to enable as many visitors as possible to enjoy the view from the Eiffel Tower. Ten years after the opening, he advertised for bids for new, hydraulically operated elevators for the east and west pillars, because the functionality of the original solutions was not satisfactory. The elevators do not rise vertically to the second platform at a height of approx. 115 meters but follow the inclination of the pillar. An indirect hydraulic drive was therefore the only option. The engineers back then developed a unique mixture of hydraulic drive, high-pressure cylinders, mechanics, and cable pulleys. The elevator was retrofit in 1986 and the original construction was partially replaced. When advertising for bids for the modernization project in 2008, the operating company Société d’Exploitation de la Tour Eiffel, SETE, searched for a solution that follows the construction of 1899 as closely as possible while fulfilling current safety standards, reducing maintenance, and increasing energy efficiency. Bosch Rexroth took on the modernization of the hydraulics. In the process, the engineers first had to reconstruct the original solution with the help of only partially preserved construction documents. Unlike more than 100 years ago, they were able to use the simulation program SIMSTER developed by Rexroth, which they used to mathematically verify the static and dynamic behavior of the overall system of hydraulics, mechanics, and electronics. In doing so, they guaranteed the dimensions and functions of all hydraulic components as well as the overall system even prior to production. The modernized system again uses the original configuration with two lift cylinders and three high-pressure cylinders, which store energy when lowering the cabin and then provide this energy during upwards movement. The only major change – for reasons of energy efficiency – is the replacement of valves to control the up and down movement with displacement pumps, which were not yet available back then. With the modernization, Rexroth ultimately reduces the energy demand of the elevator by approximately 25 percent in comparison to the historic solution. On the outside, the modern engineering is invisible. The cabins of the west elevator remain unchanged. The overall hydraulics are located in the underground engine room. In addition to the new, active components, some original components remain – although without – function. This gives the pump room a realistic impression of engineering of the late 19th century. The modernization, which was completed in 2014, is one of a multitude of major projects, which Bosch Rexroth has realized worldwide as system partner or as general contractor. For example the company has updated the hydraulic equipment of the Tower Bridge in London to current state-of-the-art. During the complete renovation of the Bolshoi Theater in Moscow, Bosch Rexroth installed stage technology equipment that is worldwide among the most modern and most complex. Economical, precise, safe, and energy efficient: drive and control technology from Bosch Rexroth moves machines and systems of any size. The company bundles global application experience in the market segments of Mobile Applications, Machinery Applications and Engineering, and Factory Automation to develop innovative components as well as tailored system solutions and services. Bosch Rexroth offers its customers hydraulics, electric drives and controls, gear technology, and linear motion and assembly technology all from one source. With locations in over 80 countries, more than 31,100 associates generated sales revenue of approximately 5.4 billion euros in 2015. Technical progress is having a huge impact on construction equipment. Rexroth is combining its expertise in electrical industrial solutions and mobile applications with the long-time experience that Bosch has built up in the area of electromobility. The result is a broad portfolio of components for the electrification of mobile applications. Modular software and compatible hydraulic pumps complement the new 700V motors, inverters and gear units. As a result, Rexroth offers comprehensive system solutions that open new opportunities to the manufacturers of construction equipment. No compromises when it comes to operating life and robustness – this was the basic principle when coming up with the new design. With a maximum flow of 300 l/min per section, the RS20 platform from Rexroth achieves an even lower pressure loss compared to its mono block M7 20 and M6 22 predecessors. At the same time, the sandwich plate design allows any combination of small and large valve sections. As a result, the specific flow can be provided for each actuator in mobile machines. Manufacturers can match the sections to ensure that their requirements are optimally met.